Anime North and Niagara Falls Comic Con have both past. The next event coming up is the Cosplay Picnic on June 29th, and then Con Bravo at the end of July. I’ll finally be wearing my casual Usagi costume for the picnic, and I’ve got big plans for Bravo, so I’m excited for that. I realized it’d be a while since I actually updated the costume page, so I started doing that. So far I’ve just got all the new icons up. Pages will come over the next couple of days. And with Anime North come and gone, commissions will be opening up soon! However there are some changes! 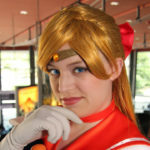 I will only be doing Sailor Moon costumes going forward. I will also no longer be doing the round front brooches, as I still haven’t developed a way I’m 100% happy with, and there are lots of other people who make them better, for cheaper. I will still be making the heart brooches, as long as I have materials available for them. And that’s it! Keep an eye on the events page for where I’m going to be, and what costumes I might be bringing with me. Though this is always subject to change right up until the day of. Previous Previous post: Too much social media!